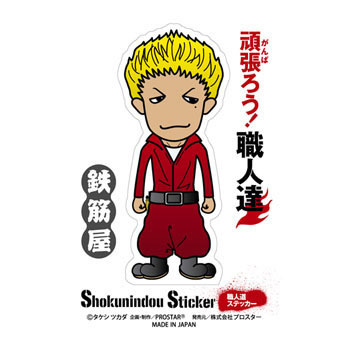 It is a character sticker of various occupations. In fact, "I have a person who feels like this! ", I am hat off unexpectedly to the human observer of the designer. I am a logistics office so I'm getting a sticker for "carrying shop" in a similar job category. This is just a female character. I wonder where it resembles the old Amuro. This review is about item#60945717. I was very pleased when I gave it to the customer at the visit. I wanted myself, but there was no product of the corresponding occupation ... It is glad if you can also line up the categories of manufacturing, mechanics, agriculture. This review is about item#60945954. This review is about item#60945735. This review is about item#60945927.